After discussions with the board, Darren Lynch confirmed he will remain as Newport Pagnell Town manager next season. 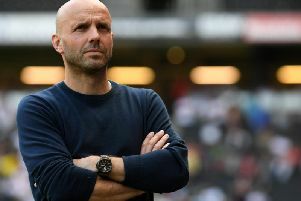 After guiding the Swans to third in UCL Premier last season, Lynch had raised doubts over his future, but he assured fans he will still be in charge next season, though assistant manager Maff Childs would be leaving. Rob Gould will replace Childs as Lynch’s assistant next season.